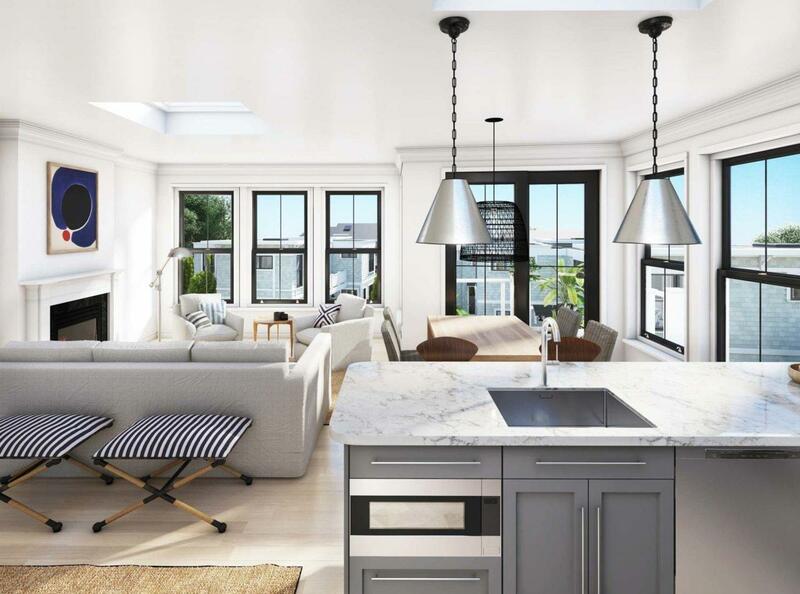 Remarks: Welcome to The Residences at 350 Bradford, the perfect combination of modern, seaside luxury and turnkey living. 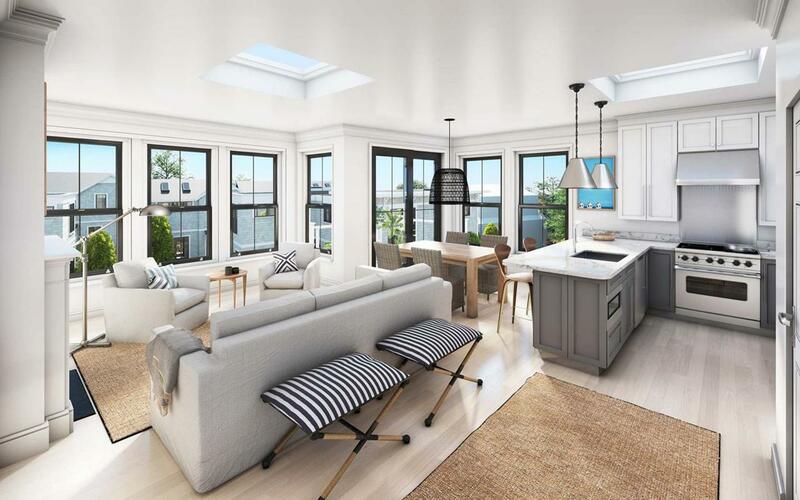 This spacious newly built two bedroom, two and a half bath townhouse style unit offers living on two levels with water views and a large two car garage with storage on the entry level. The kitchen and living area is on the top floor overlooking the property towards the bay. The kitchen features a Thermador appliance package, quartz countertops and custom cabinetry. Gleaming oak floors throughout, 8'9'' ceilings and oversized windows add to the luxury feel of the unit. A deck off this level expands your living space. 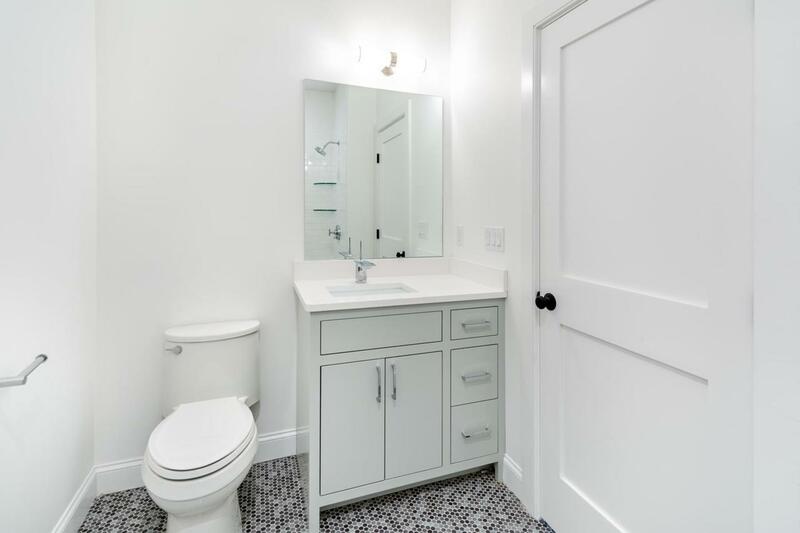 The master suite on the middle floor includes a walk in closet and en suite bath with Kohler and Restoration Hardware fixtures.Also on the bedroom level yAlso on the bedroom level you'll find stackable laundry. Luxury amenities including central AC and a gas fireplace. The unit offers a two stall garage with large closets for storage. There is public beach access across the street. Rentals permitted, pets for owners, and guest parking on site. 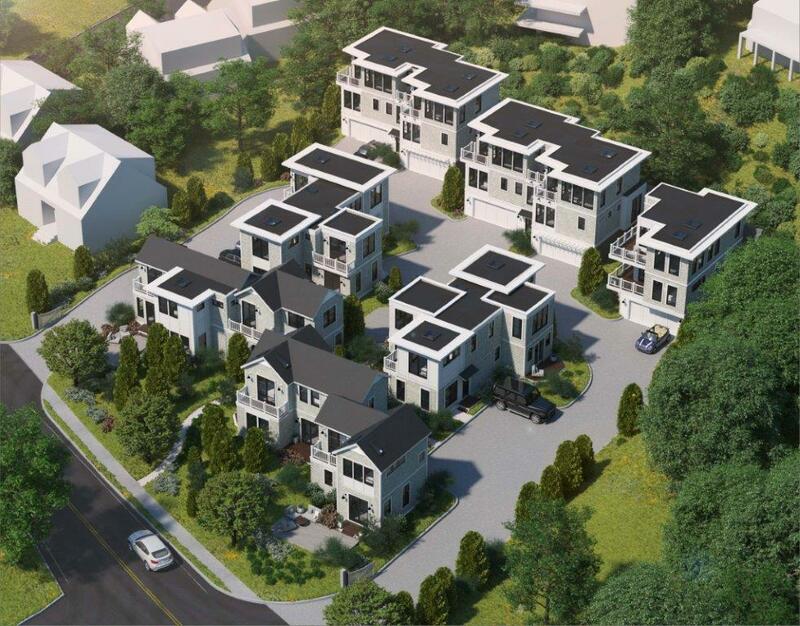 The development is beautifully landscaped.